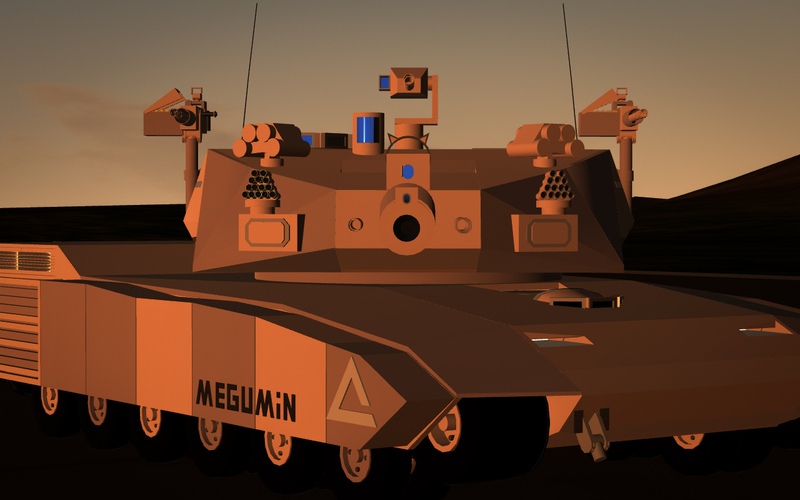 The SPT-06A9M1 Megumin Mark.V is the fifth generation Main Battle Tank developed to both complement the SPV-06A9M3 Archon Mark.II Squad Mobility Vehicle, and to replace the aging Mark.IV Megumin Main Battle Tank. 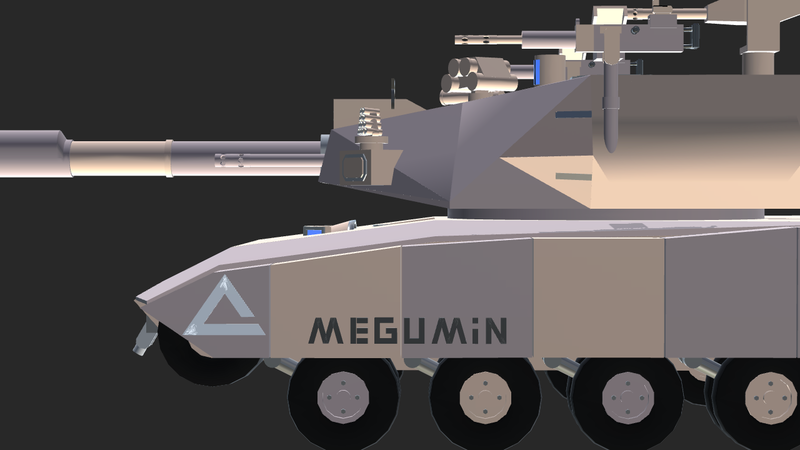 Deveoped alongside the SPV-06A9M1 in 2036 under the New Hope Program, the Syllixian Army needed a newer equipments to transition into the 21st Century, by further improving the C4I Systems already incorporated on the Mark.IV Megumin. 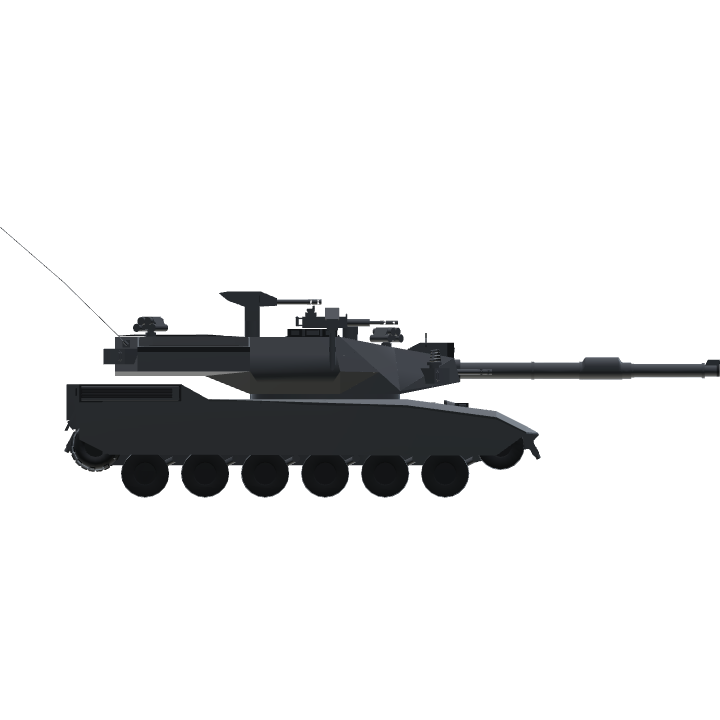 Although both models received it's fair share of protracted develpment, this particular variant got delayed more because of the doubt of most ministers over requiring another model of tanks, when the Syllixian Army has a surplus of older models, which could be "upgraded" into current technology. 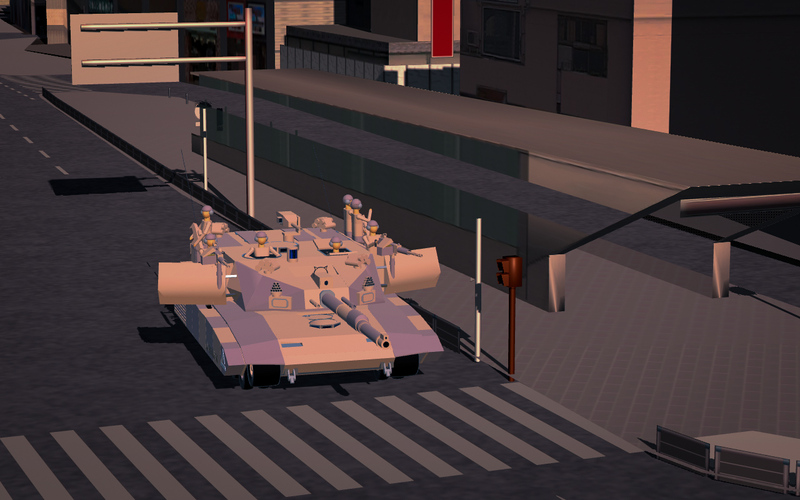 After prolonged debate, it is decided for the Army to receive 150 of it's new tanks by December. 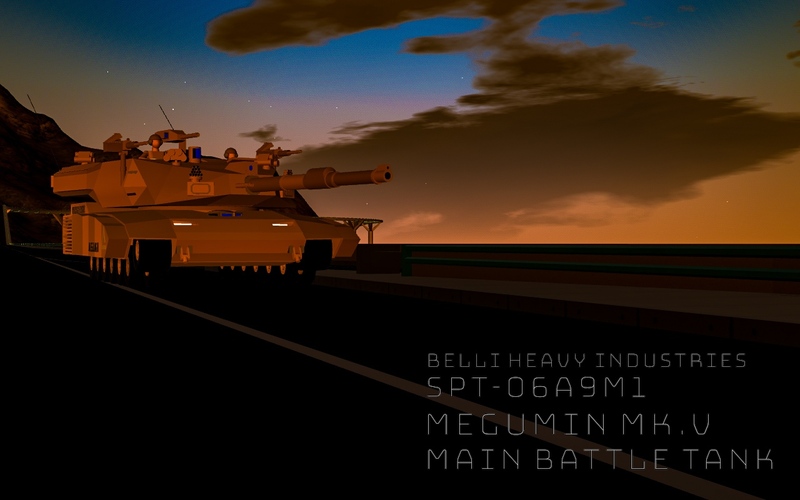 The SPT-06A9M1 incorporates several new technology, and refined design principles which the Syllixian Institute of technical Research has been using for past decades, which includes the "Wings" welded on either side of the turret, which not only provides additional protections, also can be deployed as a barrier for the infantry to take cover behind it. 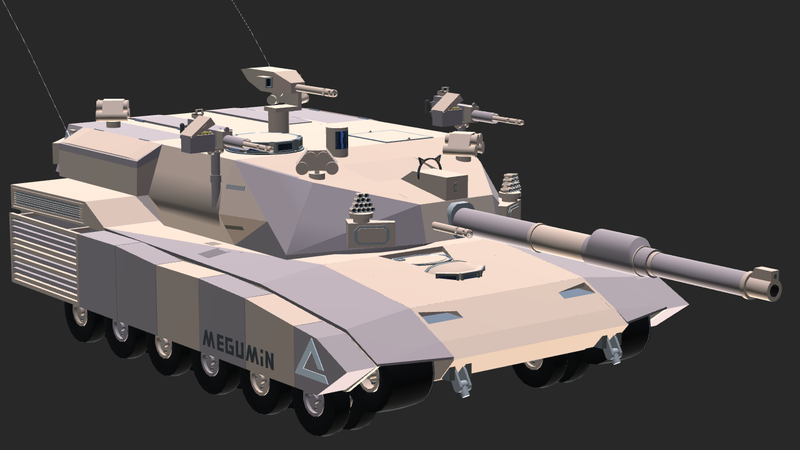 It's turret is brand redesigned from ground up, and a 25mm coaxial autocannon with 150 rounds of ammunitions are included to deal with lightly armored threats. 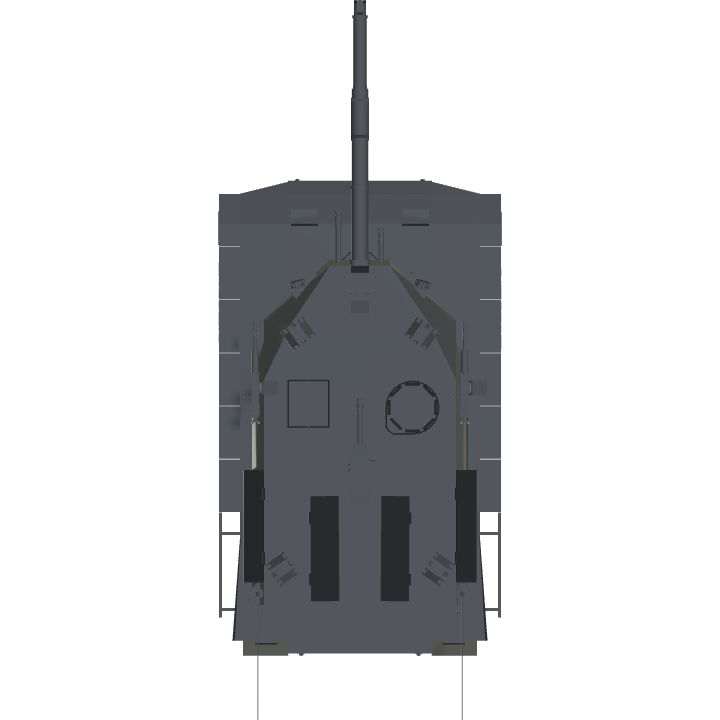 The tank still retains it's commander's cupola like it's predecessor in order to give the tank commander a better situational awareness, but can use the newer 360 degree rotating camera with IR function to enable the hunter-killer capability. 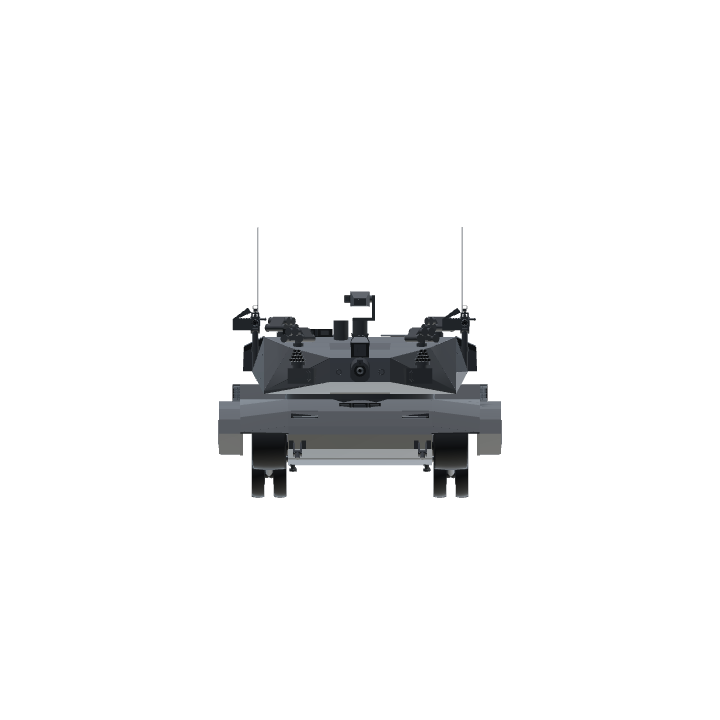 The suspension is greatly improved on current model, which gives better stability during cross country operation, and it's widened tracks gives the tank a better handling through sandy areas, where the tank will mainly operate from. A new cooler system was installed on the either side of the engines bay to provide better cooling for the engine, thus reducing it's heat signature. 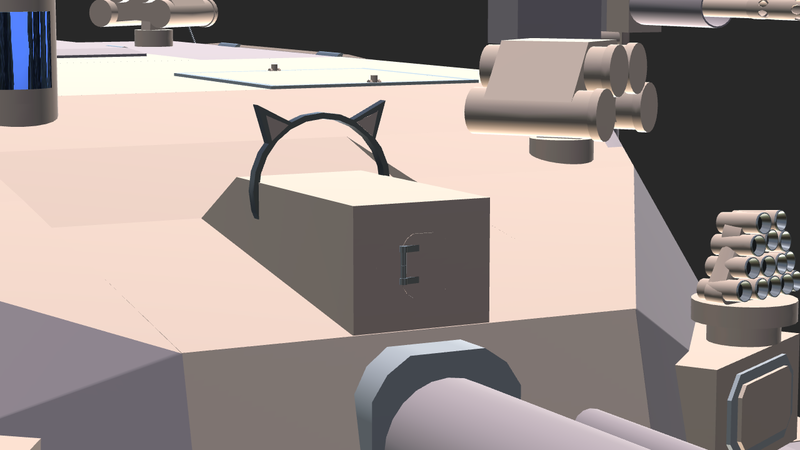 On top of that, a newly designed, detachable ammoracks are developed specifically for the tank, although it might see it's appearance on other models, provides a shorter turnaround time, as well as further isolating the dangerous ammunitions from the fighting compartment in case of shell setting off. On the top of the ammorack, an addition of two blow-off panels are also installed, newer laser designation systems, new fire control systems, active protection systems, and a new autoloader system is installed with better reliability than it's predecessor. 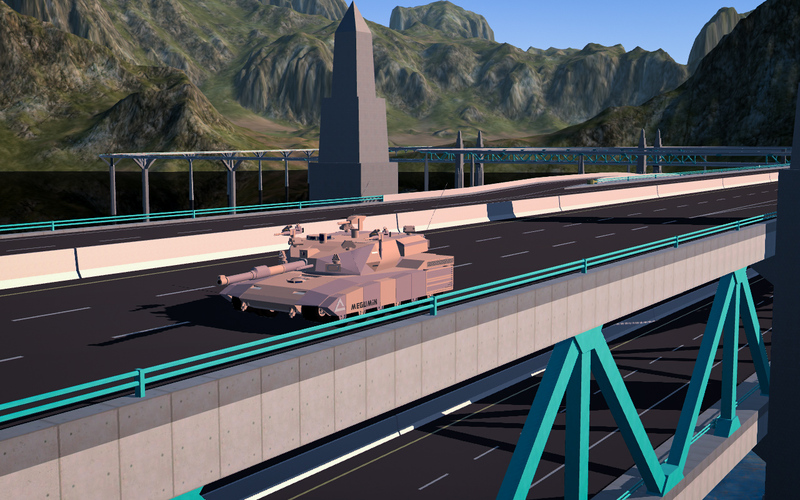 Due to several circumstances, such as the vehicle's highly advanced fire control systems, and the CUMS system developed by Paternia, and the agreements between the participating countries (MAE #56709n4) outlining the prohibition of the export of military equipments and arnaments to those who are not aligned with us and poses a threat to participating nation's sovereignity. 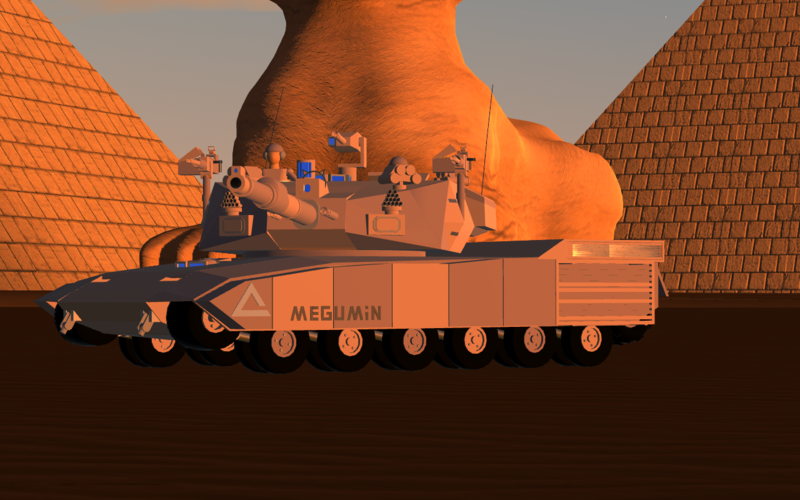 As such, the export of military vehicles and arnament is limited to countries such as Paternia, Greater Hellenic Republic, Royal State of Emmeria, Royal State of Aleutzia, and Republic of Awwam, with the exception to few countries, such as Imperial Eternistan. Exogay, definitely worth the read. @exosuit Okay. By the way, the assembly is very good. Keep it up. @ViciousTNT my brother, are you ready to follow the path of explosion? @Nerfenthusiast i could sell you the tank. But, as per the agreements made between the participating countries during the development, and the nature of the Mutual Defence Pact which I'm currently part of, it is not possible for me to sell my equipments to countries outside the pact. However, the regulations didn't mention older generation equipments, such as third and fourth generation tanks which i have a surplus of. If you're interested, we might be able to set a deal on those and I'll try my best to make the deal as much on your favor. Thank you for asking. But unfortunately, due to several circumstances, such as the vehicle's highly advanced fire control systems, and the CUMS system developed by Paternia, and the agreements between the participating countries (MAE #56709n4) outlining the prohibition of the export of military equipments and arnaments to those who are not aligned with us and poses a threat to participating nation's sovereignity. As such, the export of military vehicles and arnament is limited to countries such as Paternia, Greater Hellenic Republic, Royal State of Emmeria, Royal State of Aleutzia, and Republic of Awwam, with the exception to few countries, such as Imperial Eternistan.